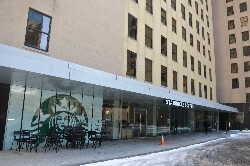 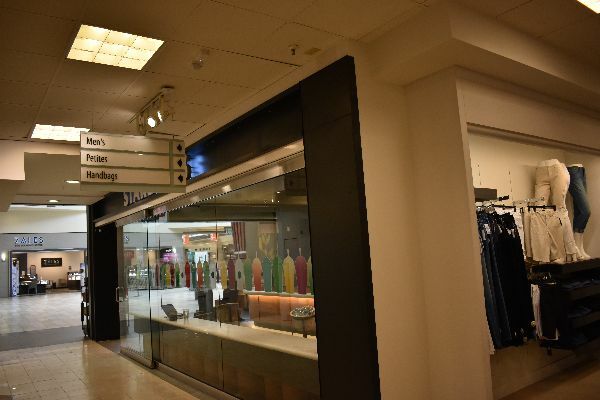 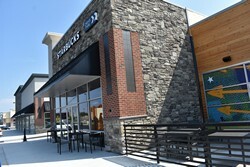 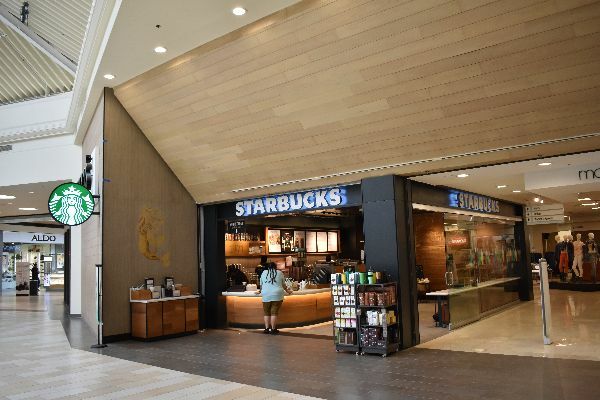 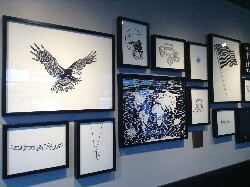 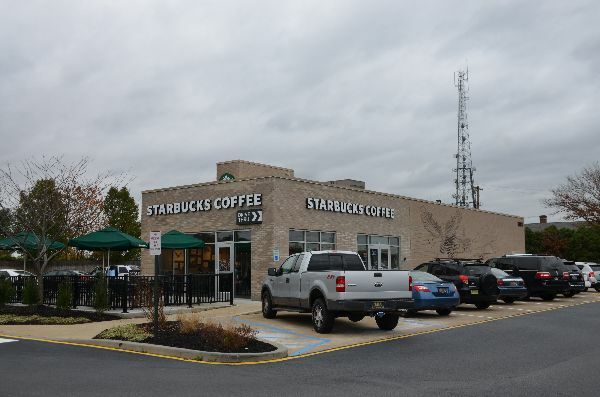 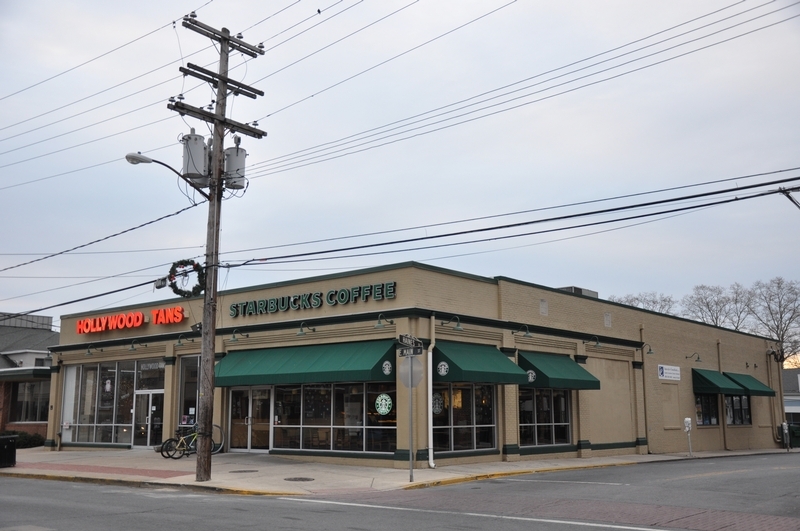 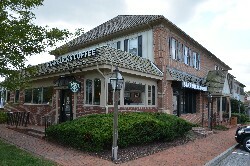 This is the first store in Delaware's capital, and also one of Starbucks' first Military Family stores. 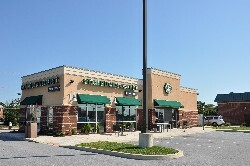 Heading into Maryland with time to spare? 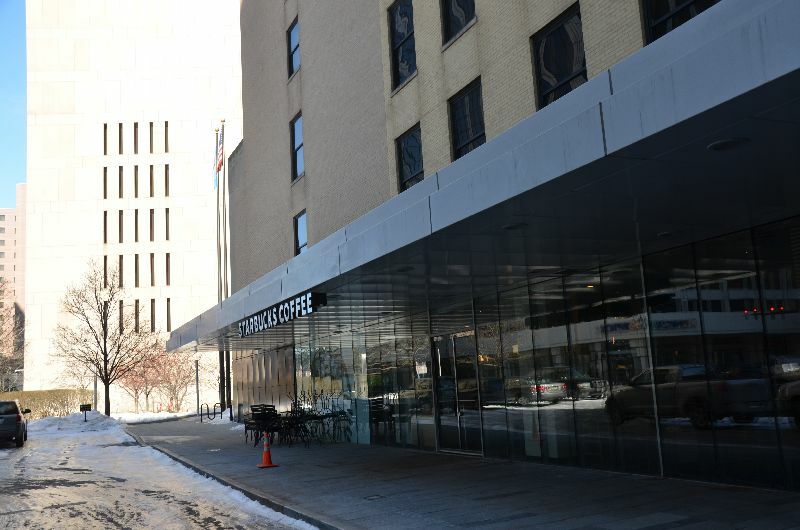 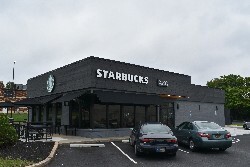 Hop off the interstate and down to Glasgow for a cup o' joe, and then continue into Baltimore along US-40 and save about $10 in tolls in the process! 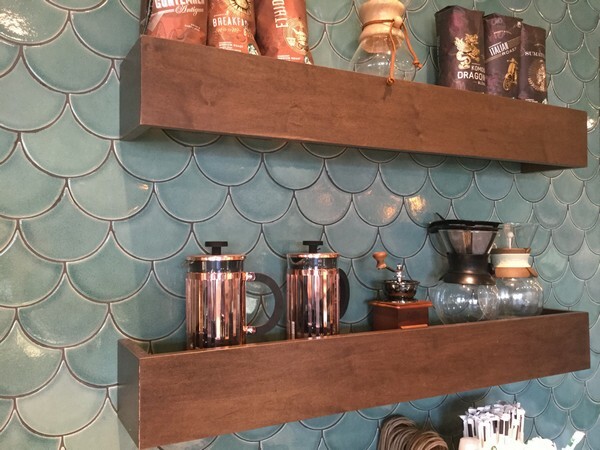 This store has the best, most authentic brick interior I've seen, and abolutely the GREATEST CEILING EVER! 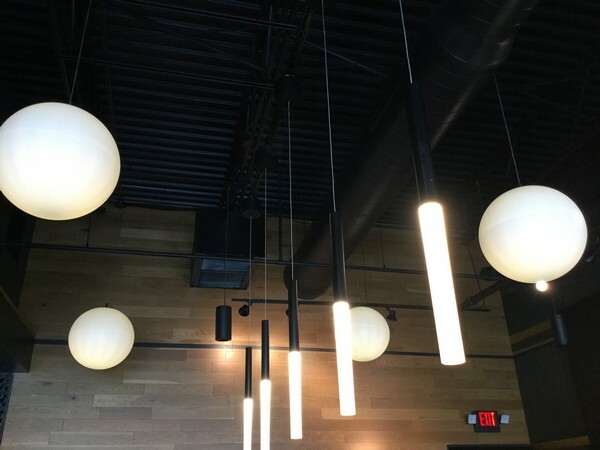 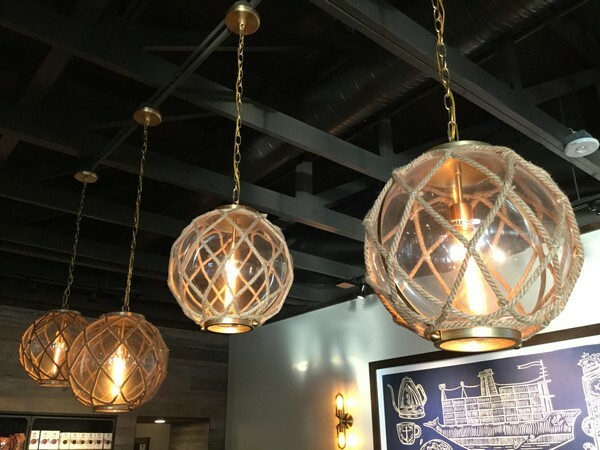 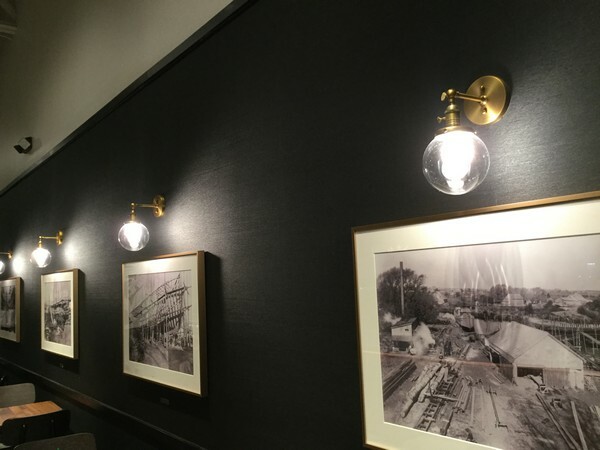 Someone was able to persuade someone to leave the existing ceiling intact, aside from some fixtures for hanging lights. 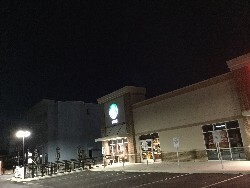 This was an excellent decision and gives the the store true charm. 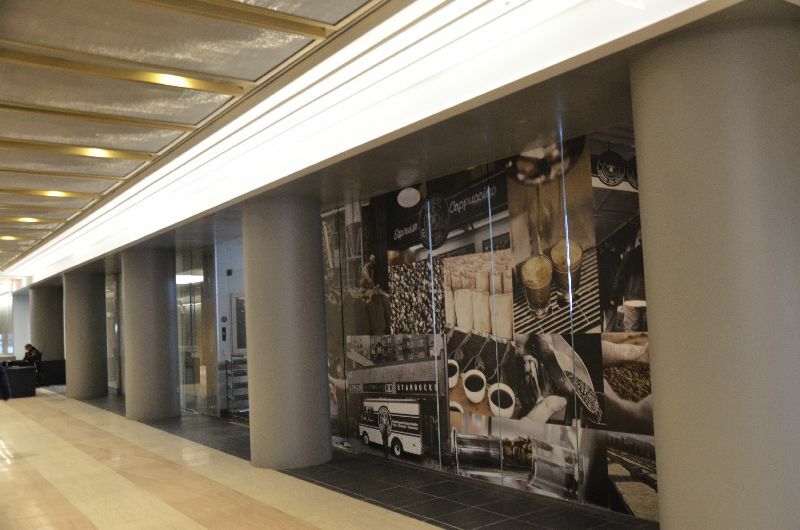 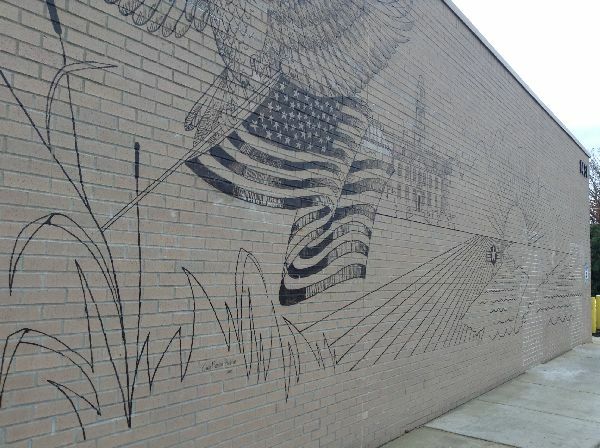 I hope the artwork depicting what appears to be an older Newark is still there. 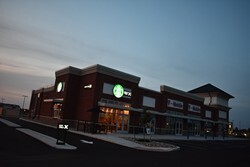 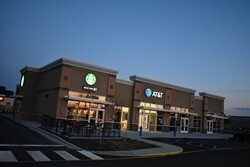 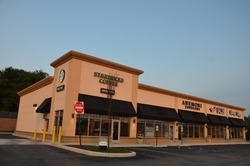 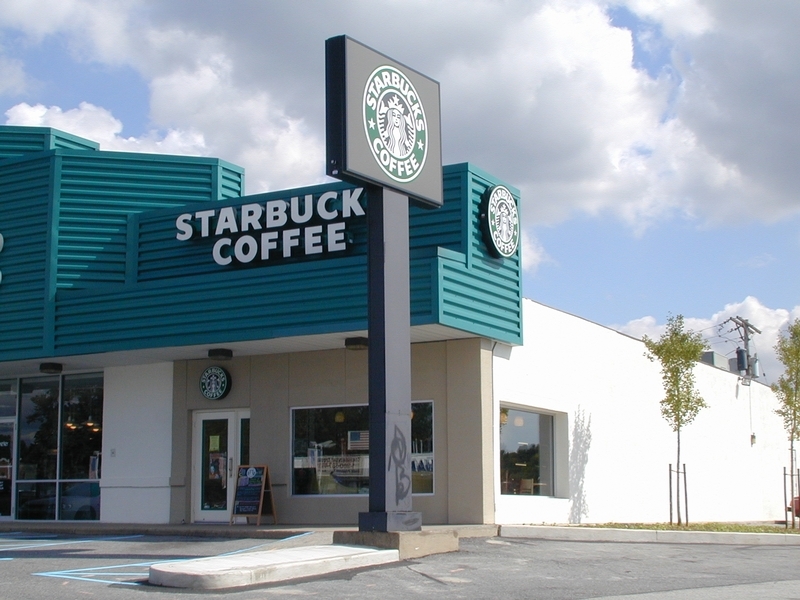 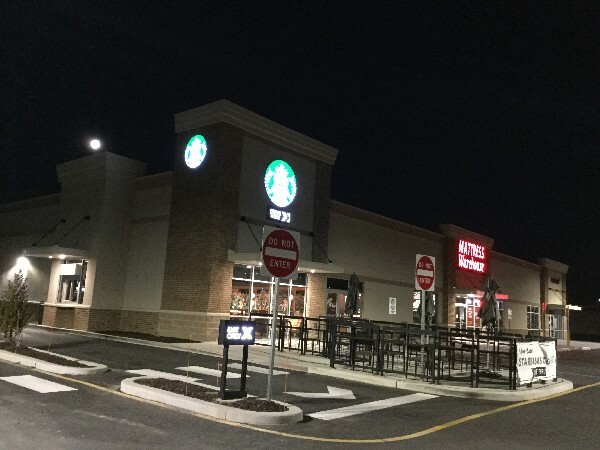 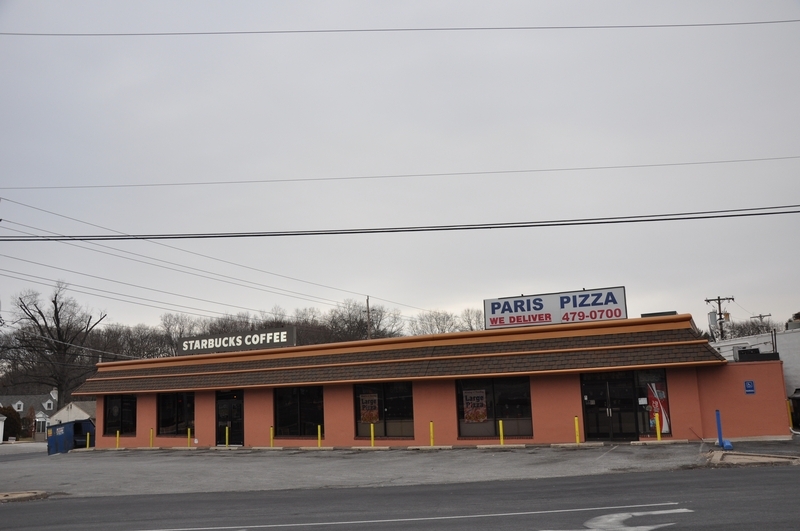 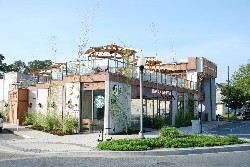 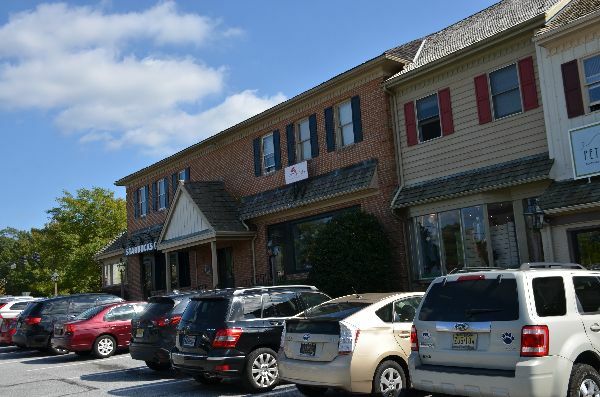 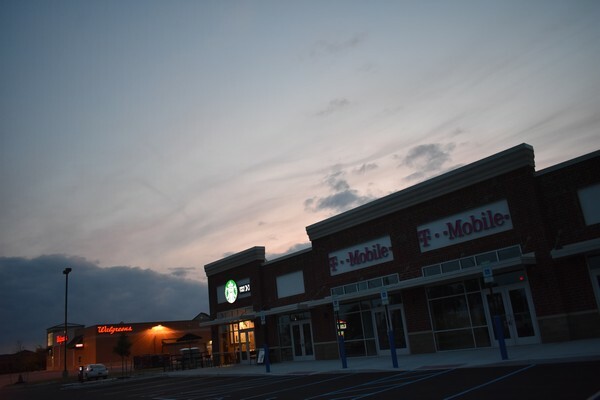 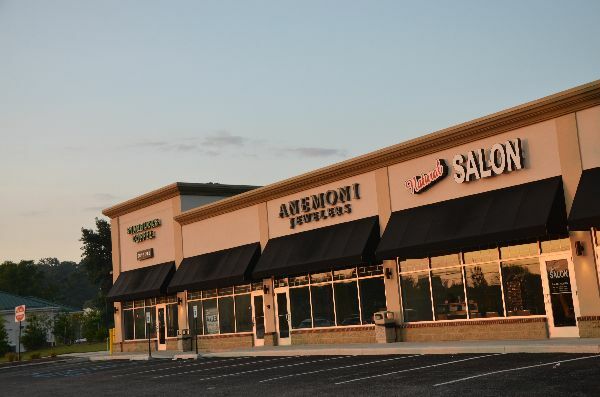 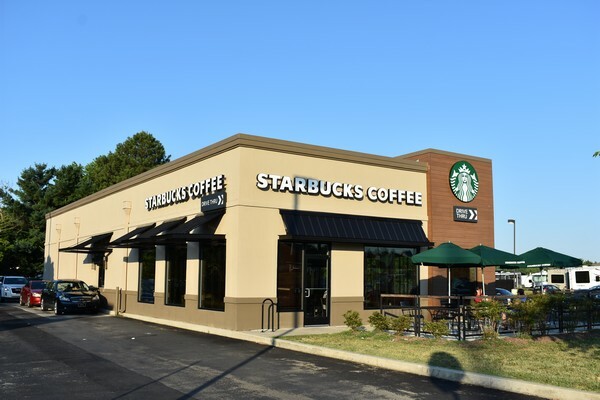 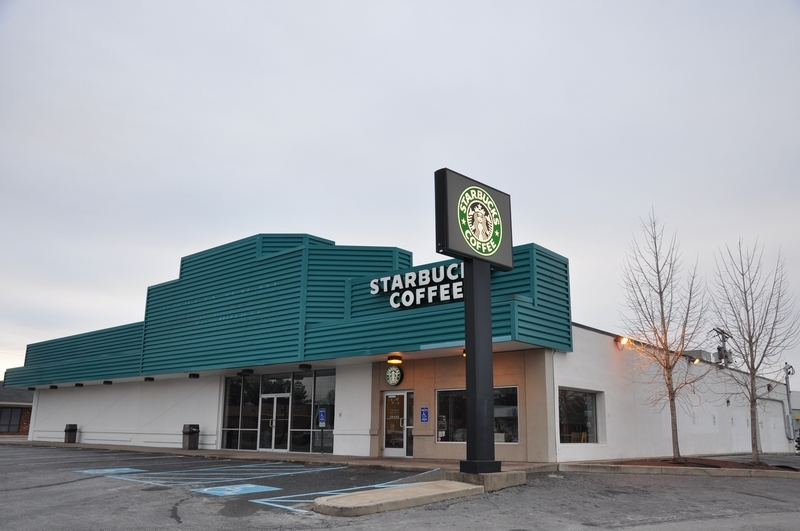 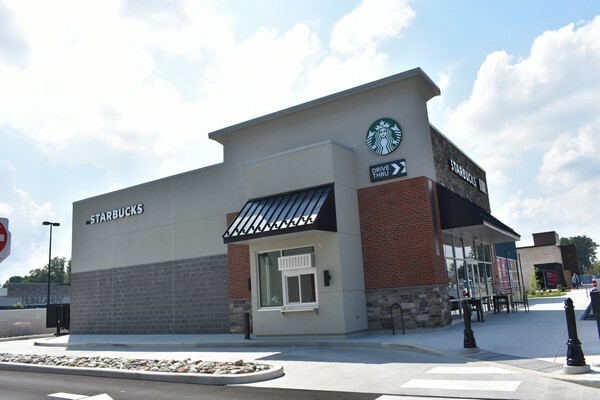 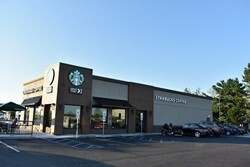 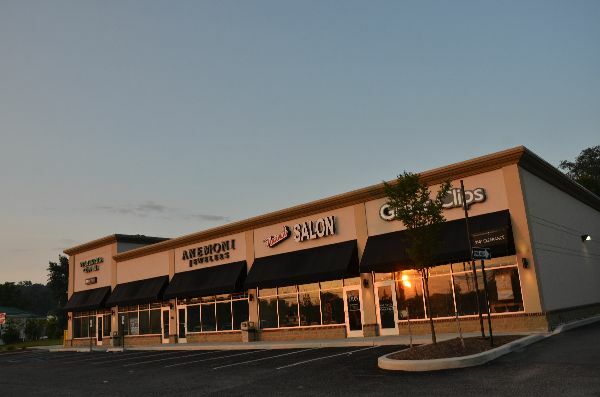 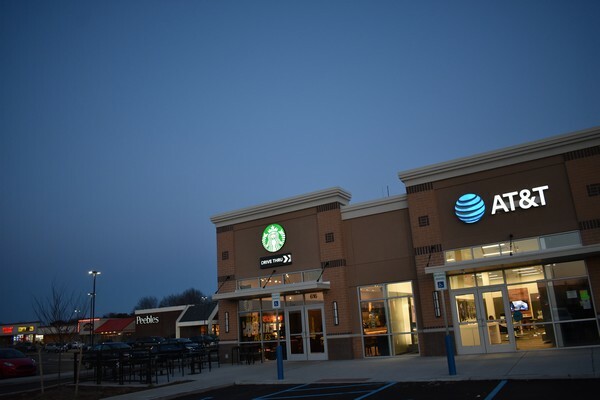 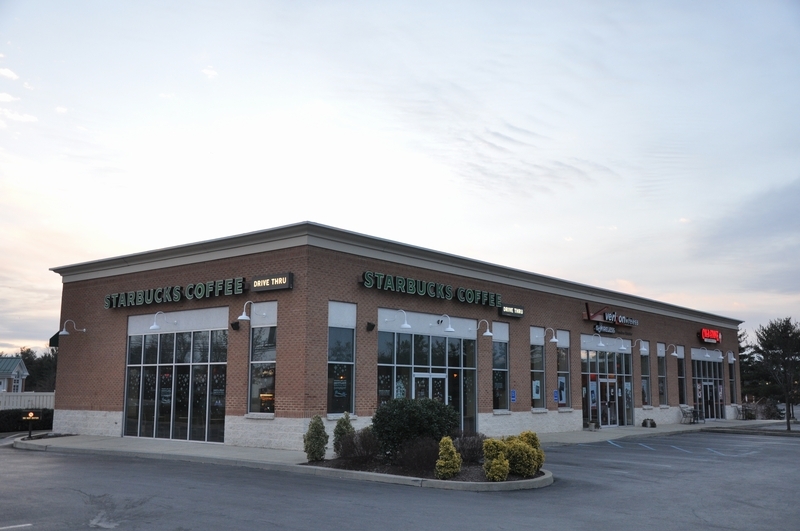 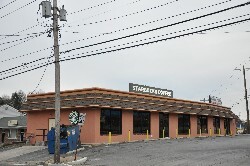 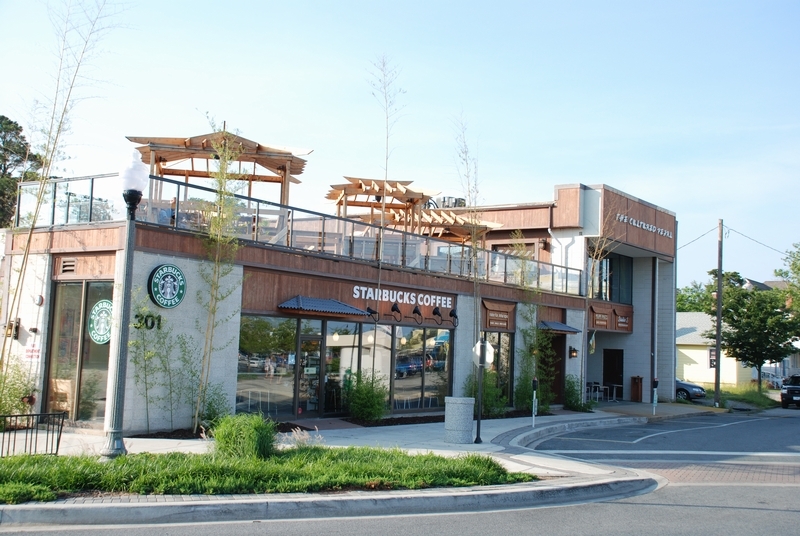 Although the rooftop seating does not belong to the Starbucks, it still enhances the appearance of this store, making it perhaps the prettiest in Delaware. 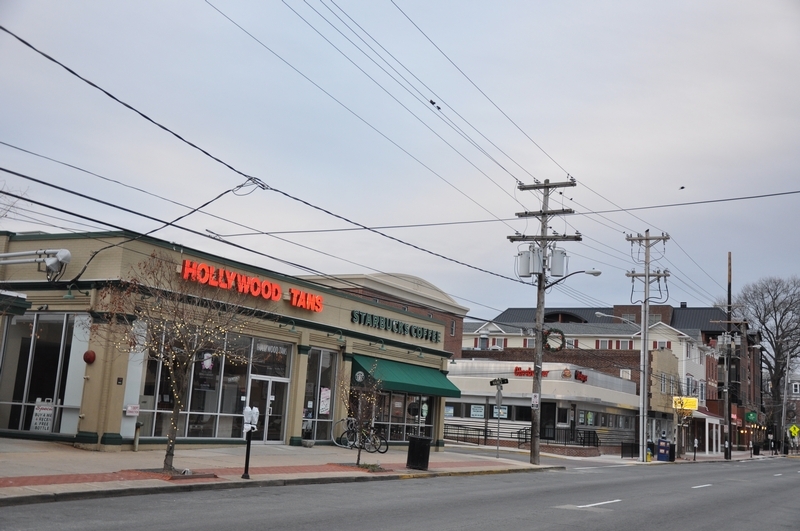 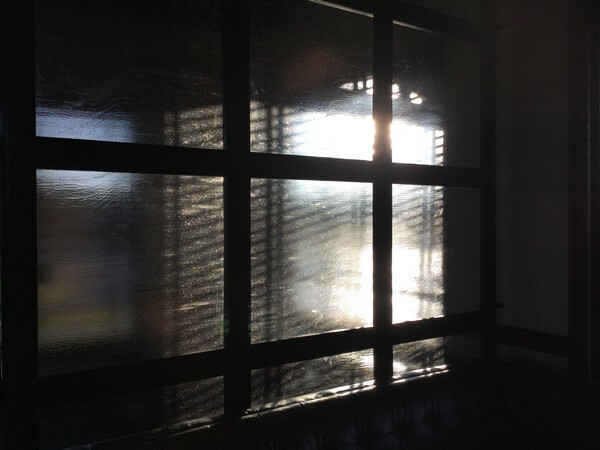 When you go inside, make sure to look for the images of the Rehoboth beach and boardwalk areas in older times. 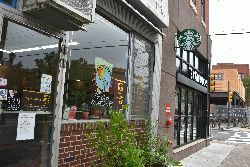 Downtown Wilmington is not exactly the liveliest of places, which might explain which it took so long for Starbucks to open a company-owned store here. 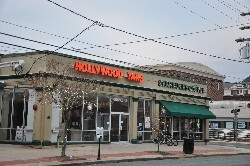 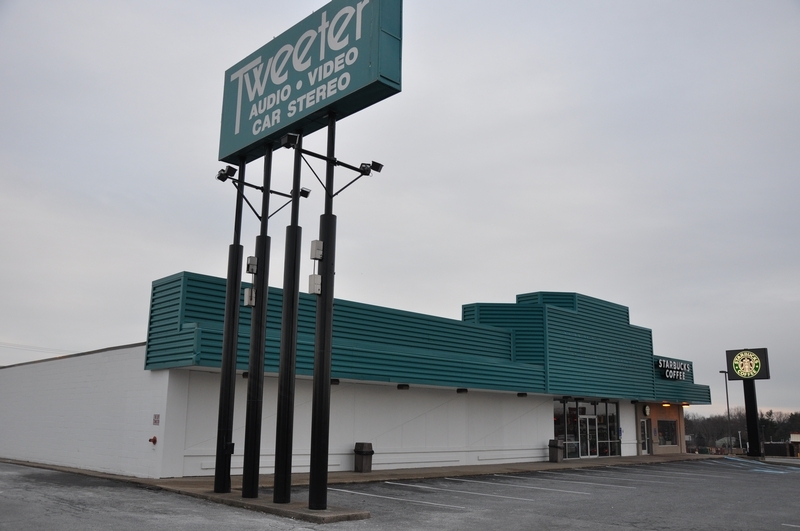 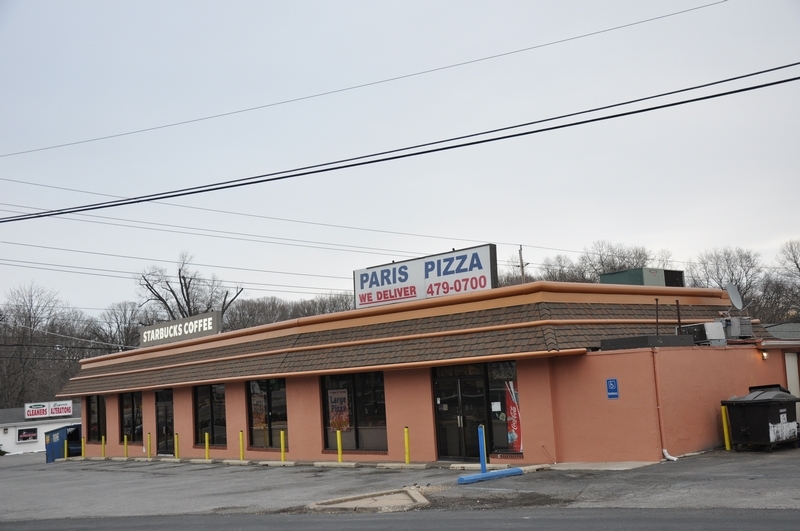 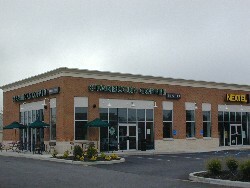 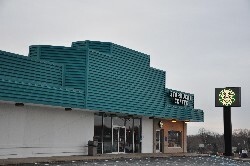 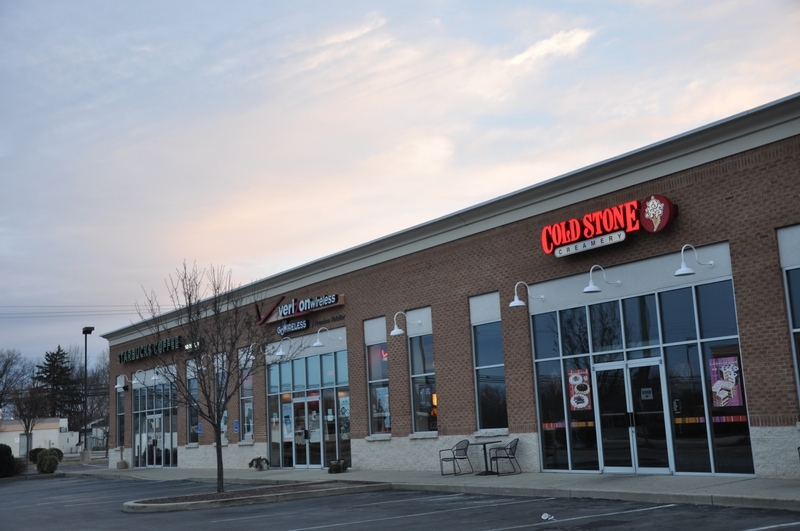 The second location in Delaware.